Sesame seeds are super common in Asian desserts and it is not surprising that we even have them as cookies. 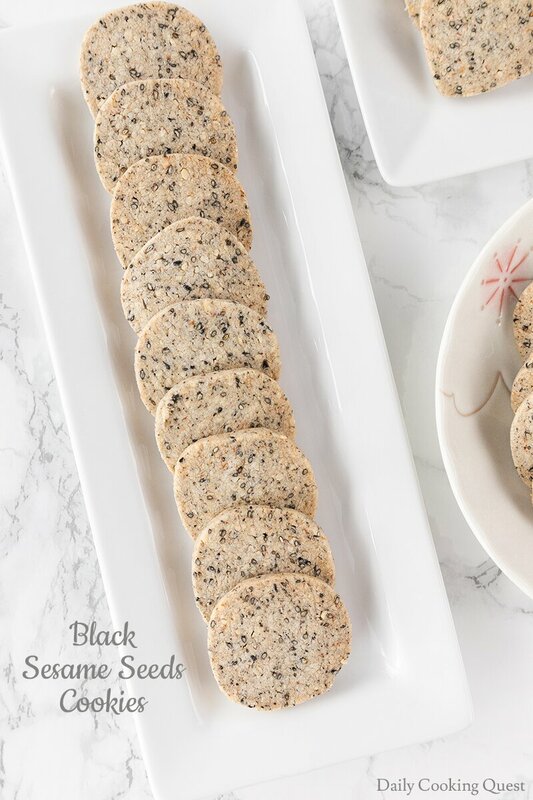 These black sesame seeds cookies are the perfect thing to bake and serve your family and guests to celebrate Chinese New Year. 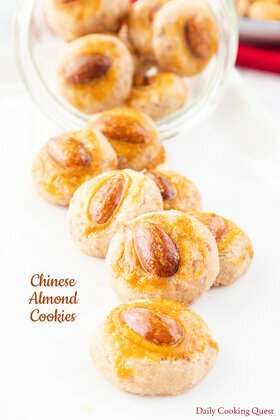 If you love sesame seeds, definitely give this cookies a try. I use black sesame seeds to bake these cookies. I generally prefer black sesame seeds in my dessert since I find them more fragrant compared to plain sesame seeds. 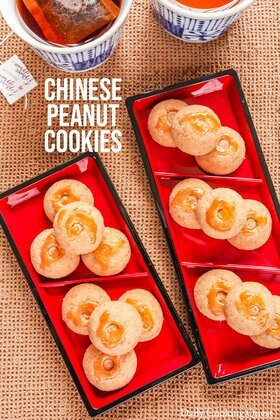 But if all you have at home is the plain version, don’t hesitate to bake these cookies with plain sesame seeds. You get delicious cookies regardless of your choice, but visually option 2 is prettier since you can still detect whole black sesame seeds in the final cookies. 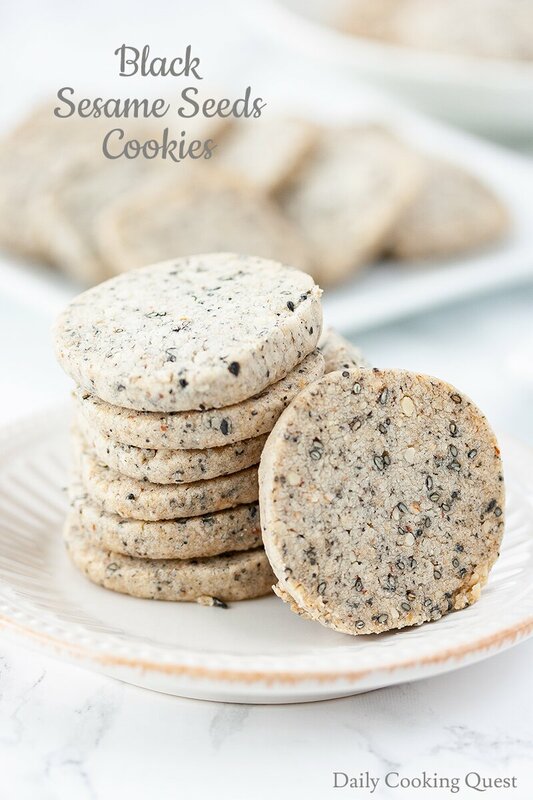 These black sesame seeds cookies fall into the category of icebox cookies. So once you form the dough, you can shape it into a log (most typical shape). If you don’t feel like baking the cookies now, you can refrigerate the cookie dough log(s) for up to 3 days! When you feel like baking them, remove the log(s) from your fridge and cut into thin 1⁄4 inch slices. The most convenient is to shape the cookie dough into 6 inch logs. One log should be cut into 24 slices of 1⁄4 inch thick slice each. 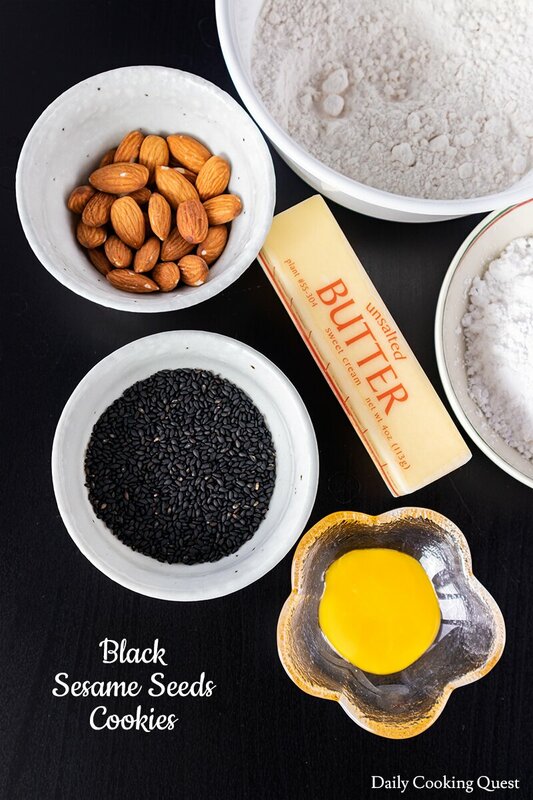 Mix together all-purpose flour, sugar, salt, ground almond, and ground black sesame seeds. Add chilled butter cubes, use a pastry blender (or 2 butter knives) and mix until the dough is crumbly. 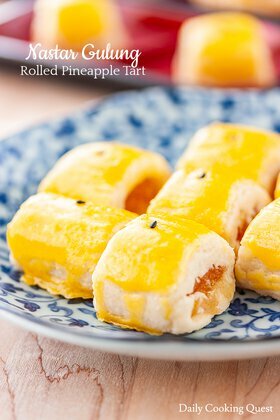 Add whole black sesame seeds and egg yolk, mix and form into dough. Cut into two portions, shape each portion into a log (or a block) of 6 inch long. Wrap each log/block with saran plastic, and chill in the fridge for 1-2 hours. Preheat oven to 180 Celsius (350 Fahrenheit). Line two baking sheets with parchment paper. Cut each log of cookie dough into 24 pieces (each piece is 1/4 inch thick). If you bake the whole recipe at once, you get 48 cookies in total. Arrange on the prepared baking sheet. Bake in the preheated oven for 15 minutes, or until the edges are brown.. Cool the cookies in the baking sheet for 10 minutes. Gently remove the cookies and cool on wire rack. Once the cookies are completely cool, store in airtight containers. 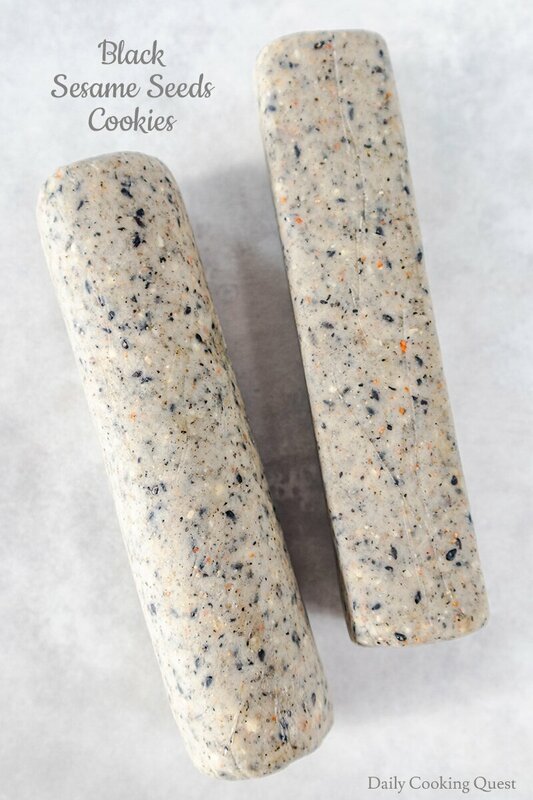 What a creative way to use black sesame seeds! I love that these aren't like your standard cooking. Definitely trying these. I can see myself getting a block of roaring 40s blue cheese and eating it off these crackers, yum! 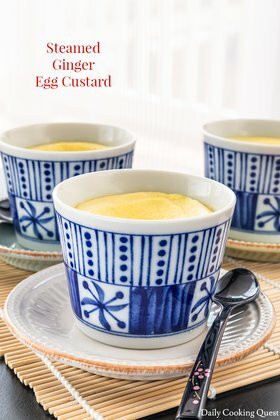 This is such a unique recipe. I love the visual appeal of the ingredients as well. Cheers! 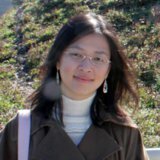 I have never tried pairing Chinese cookies with cheeses, but you get me thinking Adrianne. Great idea!